The NFL season is closing in quick and before you know it, Week 1 will be knocking on the door. By that time, it might be too late to spot some of the best value free sports betting picks on the board. But, thankfully, it’s only July and we’re going to do some of the heavy lifting for you (save your back for more fun things this summer). The Bolts seem to be overlooked in the AFC, behind the Patriots and Steelers, but have one of the most talented rosters in the conference. Los Angeles opens the schedule against two teams led by new quarterbacks in Kansas City and Buffalo. The Chiefs are going all in on second-year QB Patrick Mahomes and Buffalo will either turn to A.J. McCarron or rookie Josh Allen. That gives the Chargers an immediate edge in those contests, and sets them up nicely for a showdown with L.A. rivals, the Rams in Week 3. 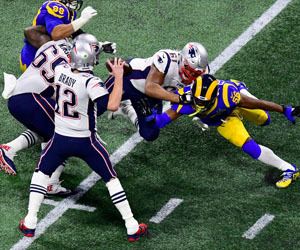 The Rams aren’t going to catch anyone by surprise this season, and will get the Bolts’ best shot as this Hollywood grudge match gets its first real game. If L.A. – the lightning bolt version – can pick up that Week 3 win, this team will definitely hear its name said among New England and Pittsburgh in the AFC. 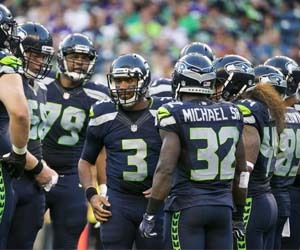 This is not the Seahawks of two and three seasons ago. But with the way many pundits are predicting the NFC West pecking order, Seattle might as well start the rebuild with the Rams and Niners on the rise. 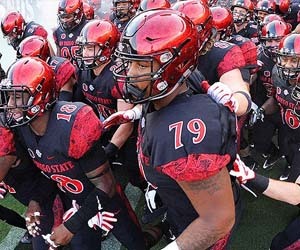 The Seahawks lost some big-name players, especially on their once-feared defense, but this team still has one of the best quarterbacks in the NFL – in Russell Wilson – and is turning up the tempo on the ground with the hiring of offensive coordinator Brian Schottenheimer and drafting San Diego State firecracker Rashaad Penny at running back. Seattle opens the schedule in Denver, which is always a tough place to play early in the season due to thin air and conditioning. The Seahawks then head to the Windy City to play the Bears in Week 2 – a game that won’t be an easy win versus a Chicago defense that performs well at home. Week 3 brings the Seahawks home to CenturyLink Field, facing the Dallas Cowboys. Seattle is prone to slow starts, but with their backs against the wall and sense of desperation, the Seahawks will come out firing in September. Yeah, that’s right. Watch out for the J-E-T-S. From a pointspread perspective, New York was a good bet in the first half of the schedule in 2017, going 6-2-1 ATS in its first nine games. This year, Gang Green will usher in a new offense with coordinator Jeremy Bates taking them to the West Coast playbook, and even if Sam Darnold isn’t the man in Week 1, there should be more teeth in this Jets’ scoring attack than the group that mustered just under 19 points per game last season. New York has a soft sked to begin the year. It opens at Detroit against a Lions team that could finish last in the NFC North. Then the Jets are home hosting the rival Dolphins in Week 2 – a team that went 2-6 SU and ATS on the road in 2017 – and hit the highway to the “Factory of Sadness” in Week 3, visiting the Browns. There’s a good chance the Jets start 2018 at least 2-1 SU given the cake walk in the opening three weeks of action.